An analysis of the 1972 World Championship Chess Match from both sides of the chessboard - a Russian and an American analysis. 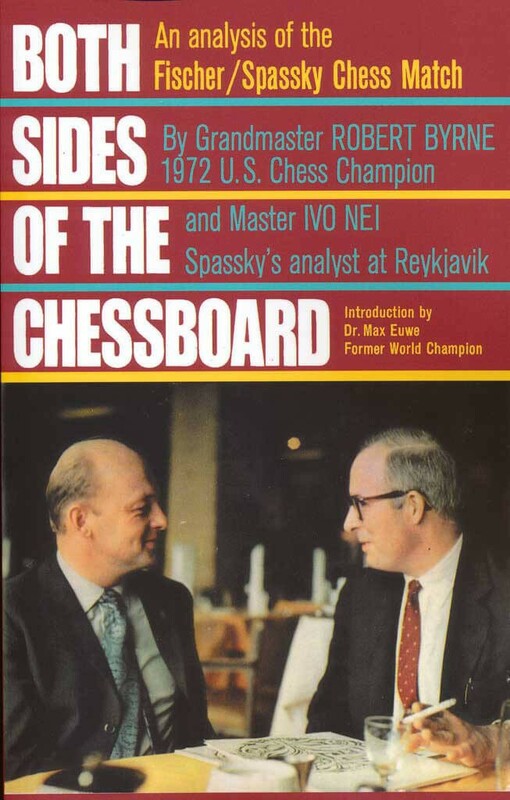 After all the “rush” books on the most dramatic chess confrontation in history - Bobby Fischer vs. Boris Spassky – have had their brief day in the sun, this deeply considered and unique volume makes its bid for classic status. International Grandmaster ROBERT BYRNE, distinguished chess columnist for The New York Times and the 1972 U.S. Chess Champion, who is justly famed for the thoroughness, accuracy and penetrating insight of his chess analysis: He debunks much of the erroneous analysis published within weeks of the match in books admirable for their timeliness but understandably lacking in depth; He provides a new view of the games since he is aware of the tensions and psychological burdens of both great masters.' International Grandmaster IVO NEI, a Spassky confidant, one of Russia's leading theoreticians and a member of the Soviet team at Reykjavik – and himself a brilliant annotator: He reveals many intriguing secrets of the match for the first time anywhere; He sheds new light on the hitherto dark side of Soviet chess, pre-match preparations. The definitive book on the match . . . objective, thorough, revealing, penetrating . . . no chess lover will want to be without.